Urban Vista is an exciting new condominium located in one of the most sought after residential site at Tanah Merah Kechil Link. With Tanah Merah MRT station right at your doorstep, residents can enjoy the luxury of time accessing other parts of Singapore and the conveniences nearby with ease. Epitomizing the harmonious balance of ultimate convenience and accessibility, Urban Vista is situated within a minute's walk to the MRT station. This development is also near a future commercial hub and is only a station away from the upcoming fourth university and Changi International Business Park, and two stations away from our Changi International Airport. With the future major commercial hub next to it, residents will enjoy dual benefits of being right next to the hub, whilst enjoying the privacy and serenity of a separate residential development. Being close to retail and dining havens such as Changi City Point, Singapore Expo, Bedok Point, East Village, Bedok Market Place, East Coast Lagoon Food Village and many more, Urban Vista offers endless choices for everyone. Back at home, residents can indulge in the wide array of condominium facilities such as Alfresco Dining Pavilion, Infinity Pool, Club Lounge, Party Pool, Aqua Gym, Zen Garden, Chill-out Deck, Spa Pool, Jacuzzi and much more. Jointly developed by Fragrance Group Limited and World Class Land Pte Ltd, residents can expect to stay in a condominium with a prestigious and luxurious metropolitan concept. The management has no say, as the board members are all over them. The board members are very rigid and restrictive. They will go around the condo facilities finding faults with the residents and penalising them. 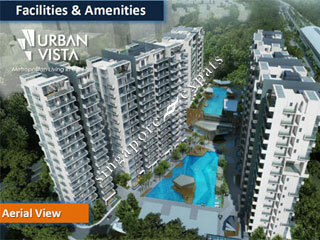 There are much better condos near Urban Vista. The management company is protecting developer and tried their best to harass people that live there. This condo was built by a developer that don't care about living standard. Many things inside the unit do not make sense with a lower quality standard (not sure how singapore can approve such of condo building.) The management staff are totally rude and not facilitating. There are many rules that doesn't make sense and get in your way. quiet and peaceful, while near to amenities and beside Mrt. Suitable for expats working around Changi Business Park. for city living out of the city. Very convenient for expats/ people who travel overseas often ( near airport) . And also people who are working at Changi business park. Brand new condo next to Tanah Merah MRT, convenient for those who work in Changi Business Park or CBD. Near many shopping malls, food outlets & outdoor facilities.